Shay Savage: Bastian's Storm - Coming June 19th! 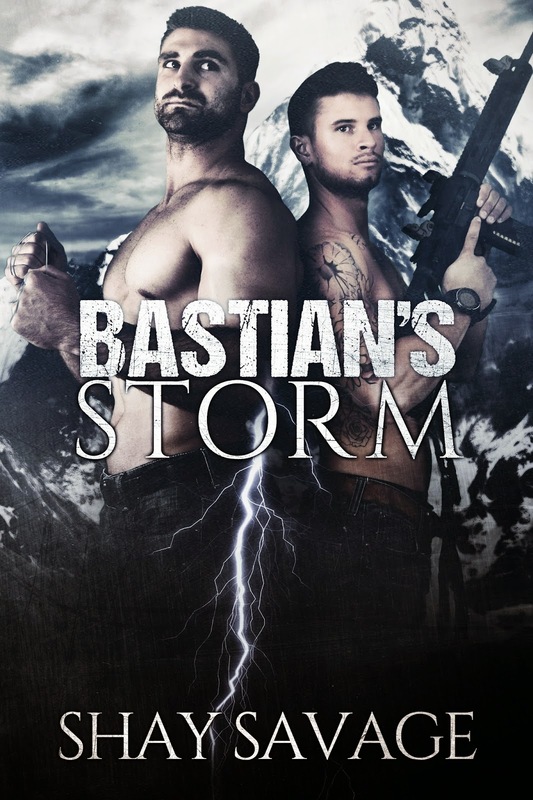 Bastian's Storm - Coming June 19th! Sebastian Stark just isn’t cut out for normal life with a girlfriend in the hot and humid city of Miami. All in all, he’d rather be back on the island where it was just the two of them, and he could keep everything in balance. The bar down the street tempts him daily, but he’s determined to remain strong. Adjusting to normal life is difficult, but Bastian is doing his best to keep himself together and the nightmares away. Raine’s happy, and that’s what matters to him the most. But not all nightmares can be driven away. When Bastian’s former mentor comes into the picture and presents him with an ultimatum, Bastian slips into old habits. Though he wants to shield Raine from the truth, the shady circumstances of his past form into a hurricane he can’t control. In an effort to protect her, Bastian has no choice but to throw himself back into his old job – death match tournaments – just one last time. Dropped into the arctic wilderness with weapons loaded, Bastian has to compete against representatives from major crime lords all over the states. He’s studied his competition, he knows their weaknesses, and he’s ready to battle for the woman he loves. There’s only one opponent in the mix that causes him any concern. In order to guarantee Raine’s safety, Bastian will be pitted against the key hit man for Chicago’s largest mob family – a guy who’s known as one hell of a shot. A guy named Evan Arden.